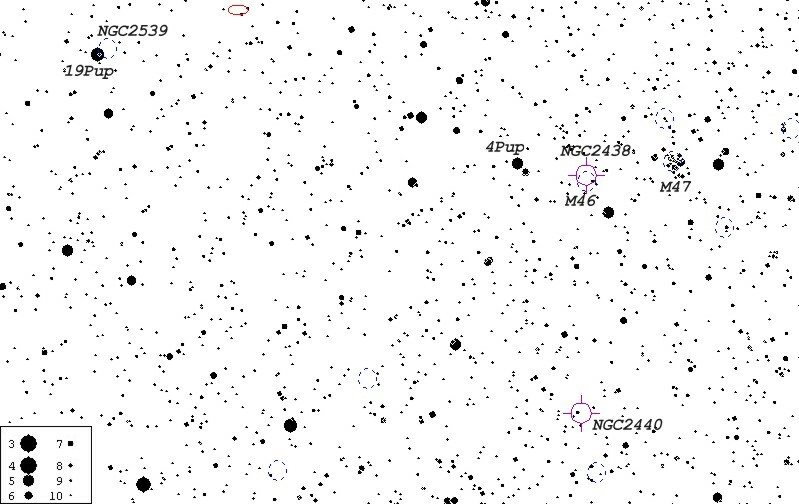 This open cluster is located in Northern part of Puppis, next to the star 19 Puppis (see finder chart below). 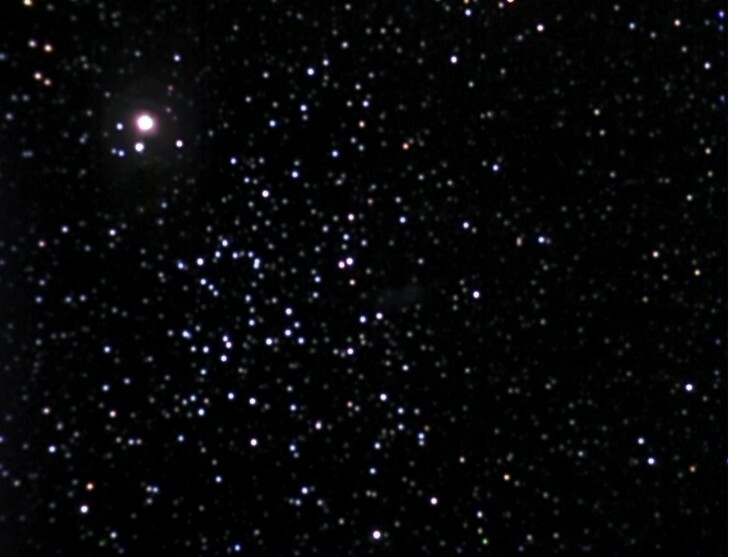 The above image was taken on December 26, 2000 from Harrowsmith, Ontario. Cookbook 245 LDC camera was used on Celestron Ultima 8 SCT with f3.0 focal reducer. White exposures (21 x 15 sec.) 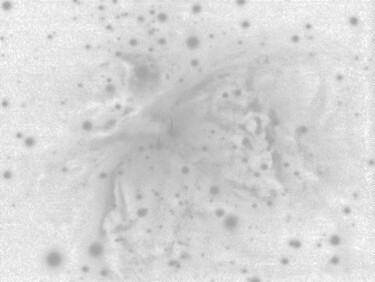 were combined with cyan, magenta and yellow-filtered images (10 x 15 sec. each) using AIP4WIN software and the color image was furter adjusted in Lab color space with Corel PhotoPaint 8.